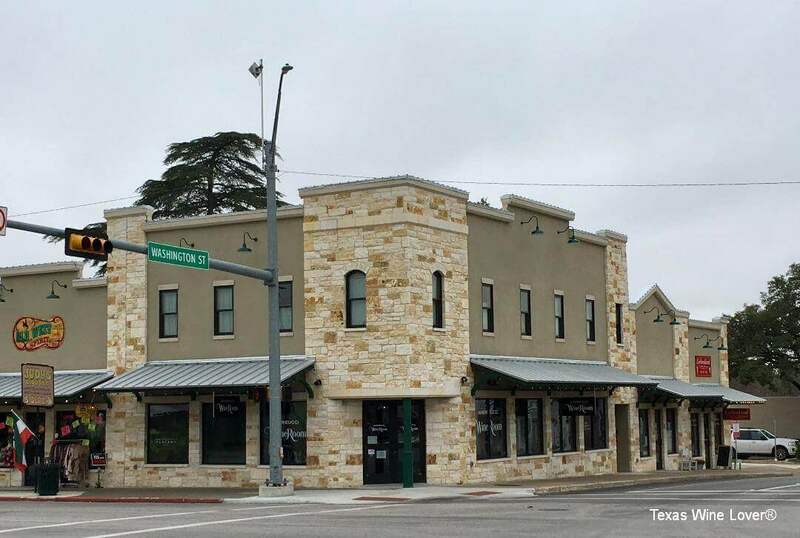 Taking advantage of an invitation to Texas Wine Lover, I attended a preview tasting at the new Andreucci Wine Room on Wednesday, January 16th. 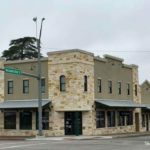 Betsy and Jack Sallman, partners in this venture, greeted guests at the front door and directed everyone to the bar where the effervescent and enthusiastic Elia Guazzini poured each arrival a welcome glass of Donna Alma Pinot Grigio. 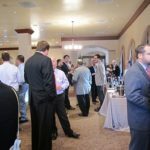 Proprietor and winemaker, Flavio Andreucci, was also at the tasting bar to greet each guest. Serving special Italian appetizers were Lara Andreucci, Flavio’s wife, and Roxanna Pichineru, a friend of the Andreucci’s and member of the tasting room staff. Anthony Conti, another partner, was also on hand to greet visitors and help serve food and wine. 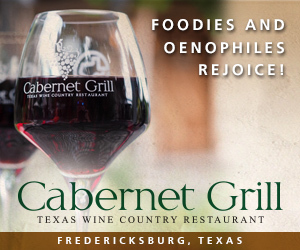 Shortly after arriving, I was joined by two ladies who are special to the Texas wine industry, Laurie Ware, an enthusiastic Texas wine ambassador and fellow Texas Wine Lover writer, and Elizabeth Rodriguez, the multi-talented manager for Cabernet Grill Restaurant and Cotton Gin Village in Fredericksburg. 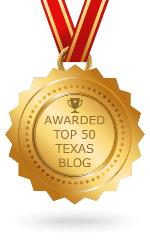 Laurie has recently moved to Fredericksburg and will now be a far more active participant in Texas Hill Country wine activities. We were soon asked to take seats at the long center table located between the tasting bar and outside picture windows facing Washington Street (US-87). We were served a small plate with crisp toast topped by a thick tomato sauce, alongside pecorino cheese with a dollop of Balsamic reduction. The wine poured was Prosecco Treviso N.V. Extra Dry from the Alto Adige region produced from equal parts of Glera (the traditional Prosecco grape), Chardonnay, and Pinot Noir (direct pressed to minimize color). Flavio suggested that this blend offered a softer mouthfeel and richer flavors than the often too-acidic wines produced from only Glera. Flavio Andreucci took this early opportunity to re-introduce himself and all the folks involved in hosting this evening to the 20 guests gathered at the table. He also introduced Vino Andreucci, his family’s winery in Tuscany that has been in continuous operation for 10 generations, since 1794. 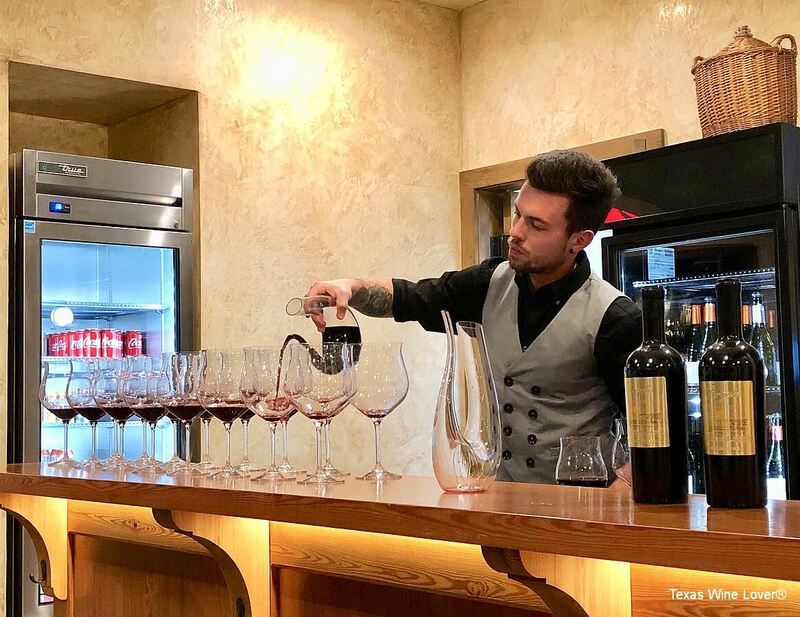 Although the winery is located in Tuscany and produces primarily red wines, grapes are sourced from other parts of Italy to fill out a more balanced portfolio. 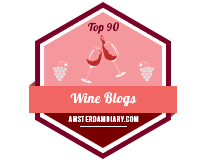 The next wine served was a delicious Chardonnay 2017 from the Alto Adige region that offered a nicely balanced mouthfeel with peach and pear aromas and flavors. This was paired with a creamy mushroom soup drizzled with extra virgin olive oil, from Tuscany, of course. 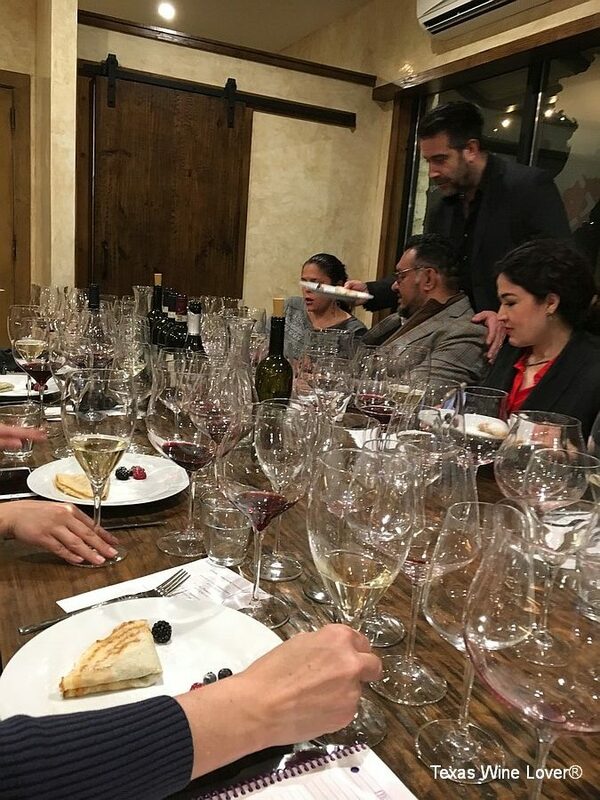 As with each new pairing, Flavio took the opportunity to introduce the wine and talk briefly about both the origin of the grapes and how the wine was made. 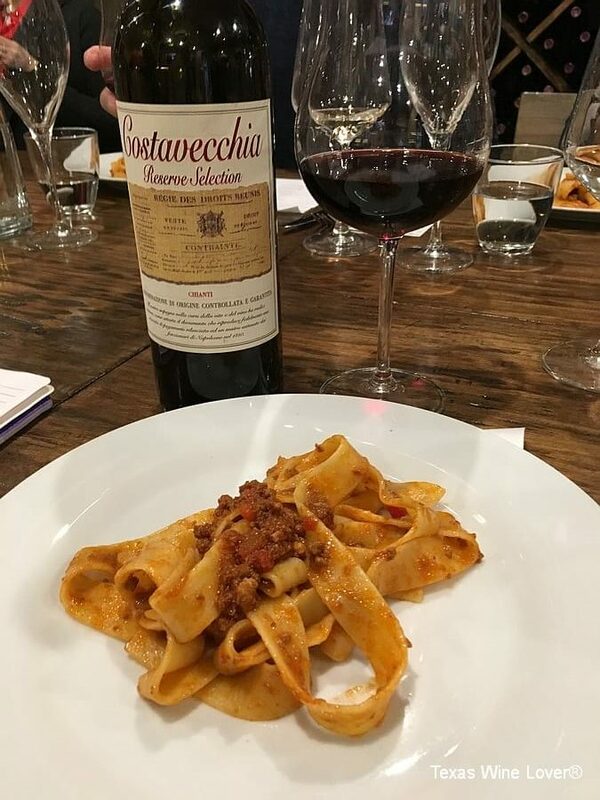 At this point, the focus switched to red wines with the Costavecchia Chianti Reserve Selection 2016 produced from the R-24 clone of Sangiovese. Poised over bright cherry fruit was a subtle, yet rich note of vanilla that was developed in large oak tanks. These large oak vessels were used rather than smaller barrels to limit the oaky character of the wine, thus highlighting fruit aromas and flavors. The food pairing was a delicious wide-ribbon pasta slathered with a mild, yet richly-flavored meat sauce that was more orange in color than red. It was a perfect food and wine pairing. 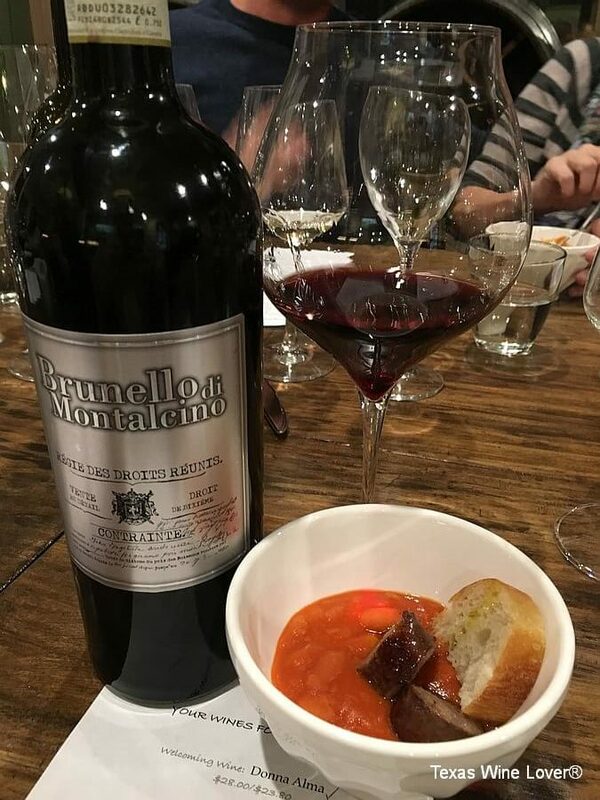 Things just kept getting better as Nobile de Montepulciano Black Label 2015 DOCG was poured using another set of interesting and beautifully shaped glasses. 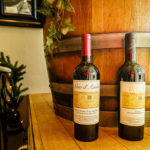 This wine was produced from the Nobile Gentile clone of Sangiovese and bears no connection to the red wines produced on the eastern side of Italy in Abruzzo and Marche using the Montepulciano grape variety. Montepulciano, grape vs. place, has often raised a note of confusion for those who are just being introduced to Italian wines. Flavio explained that this wine was aged two years in the large oak format and again offered subtle vanilla character to accompany rich cherry Sangiovese fruit. The food pairing was another pasta dish, Rigatoni with Meat and Fennel Ragu, again a lovely match of Italian food with Tuscan wine. 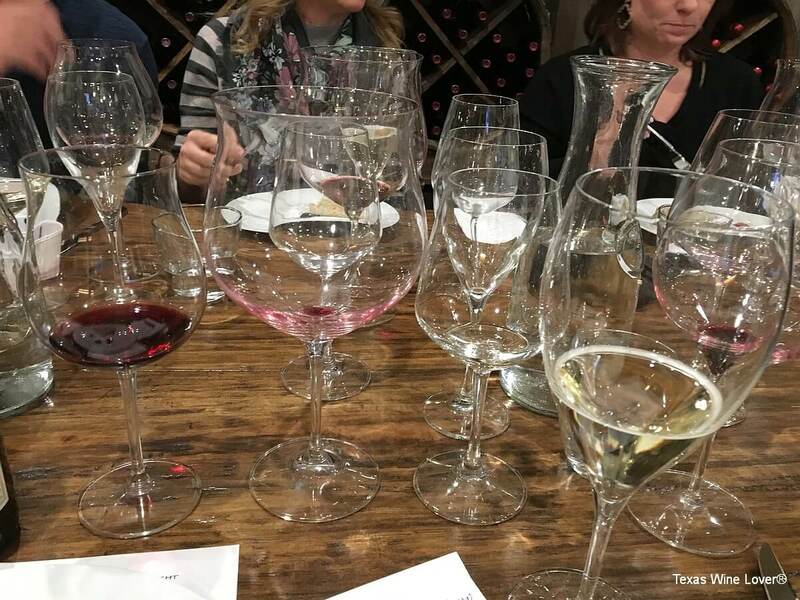 As each wine was poured into a different, interesting, and beautifully shaped glass, it became apparent that we were receiving a lesson in matching wine with stem size and shape. Flavio delighted in sharing his thoughts on the proper glassware to maximize enjoyment of his wines. 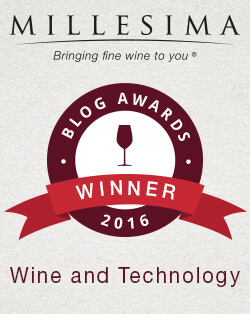 The next wine was a terrific Brunello di Montalcino Silver Label 2013 DOCG produced from the Tuscan Brunello clone of Sangiovese. Flavio explained some of the Italian wine regulations that govern not only Brunello, but many other wine regions. In this case, the wine required 5 years of aging before release – 4 years in oak and 1 year in bottle. Smaller barrels, or barriques, of the more familiar 59 gal or 225 liter variety were used for aging. These smaller containers help to give the wine more exposure to flavoring from the toasted oak and, because of the porosity of the wood, more exposure to oxygen from air that helps to mellow the wine over time. This was a spectacular offering, rich and full-flavored but not really tannic. The food pairing was very interesting. Italian beans, about the size of familiar pinto beans, were prepared in a rich, thickly-textured, almost pumpkin-orange sauce with sage flavoring and topped with slices of very spicy sausage. Although the sausage was too spicy for me, the beans were delicious and paired ever so well with the Brunello. The final red wine of the night, Regale Gold Label Super Tuscan 2014 (Toscana Rosso designation), was produced from 50% Cabernet Franc and 50% Brunello clone of Sangiovese. This was a spectacular wine filled with aromas and flavors of vanilla, mocha chocolate, caramel and hints of finely aged tobacco. The package was most impressive – bright metallic gold label on a super heavy bottle. Flavio served this wine in a gigantic crystal stem that would probably hold at least 1½ bottles of wine. The glass funneled the delightful aromas directly to the nose and delivered the wine to the place on the tongue where it could be most appreciated. Flavio further noted that only 2,000 bottles (166 cases) of this wine were produced from the exceptional 2014 vintage. Flavio asked everyone to hold some of the Regale Gold Label in their glass while he handed out small plastic cups. We then poured the wine into the cups for comparison sniffing and tasting. There was almost no aroma and very little flavor. Once poured back into the giant stem, the wine blossomed again. This was a fun ending to what had essentially been a lesson on matching wine glasses, size and shape, to wines for maximum enjoyment. 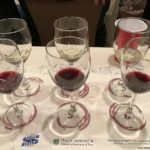 I certainly enjoyed the lesson, but felt badly for the staff and all the effort that would be required to wash and polish the approximately 160 wine glasses that stood on the table at the end of the tasting. Flavio Andreucci discussing his wines at the table – look at all those wine glasses! A final wine was poured, a bright sparkling Moscato d’Asti, to accompany a chocolate-filled crepe-like pastry dusted with cocoa and a strawberry dipped in chocolate cream. It was a very nice pairing with just the right level of sweetness to finish off the evening. 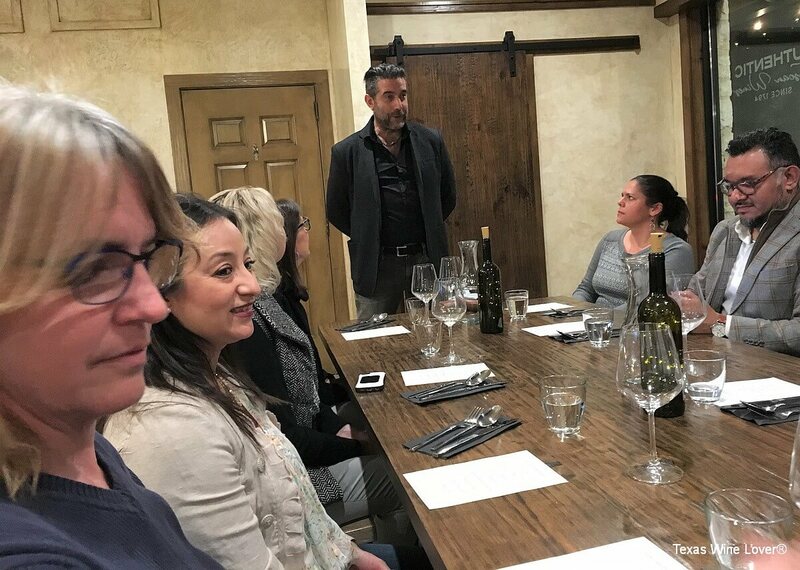 As we finished and just visited around the table, the staff spent some time telling us about the operations of the new tasting room and introducing their wine club. 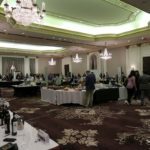 A regular wine tasting is priced at $20 and includes tastes of six wines chosen from the twelve Classic (tan and red label) and three Select (black label) wines listed. One of the three premium reds can be tasted for $10 more. There is no fee to be a wine club member, and one of the key benefits is a complimentary glass of wine for two people each visit. 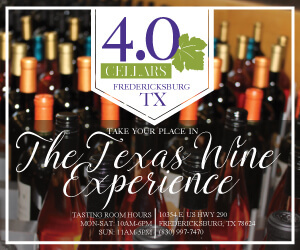 Folks joining the wine club can get two tastings refunded when purchasing three bottles of wine at sign-up. 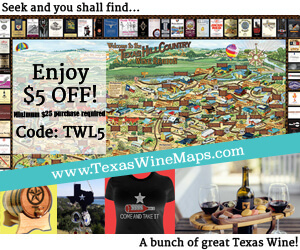 Discount on wines for club members is 15% by the bottle or glass. 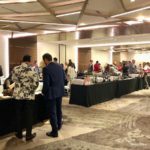 We all thanked Flavio, his wife, Lara, Elia Guazzini, Roxanna Pichineru, Betsy & Jack Sallman, and Anthony Conti as coats and tasting notes were gathered. 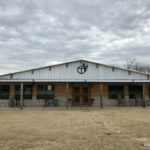 Many of us also said goodbye to tablemates with whom we had shared a delightful evening of wine, food, and fellowship. 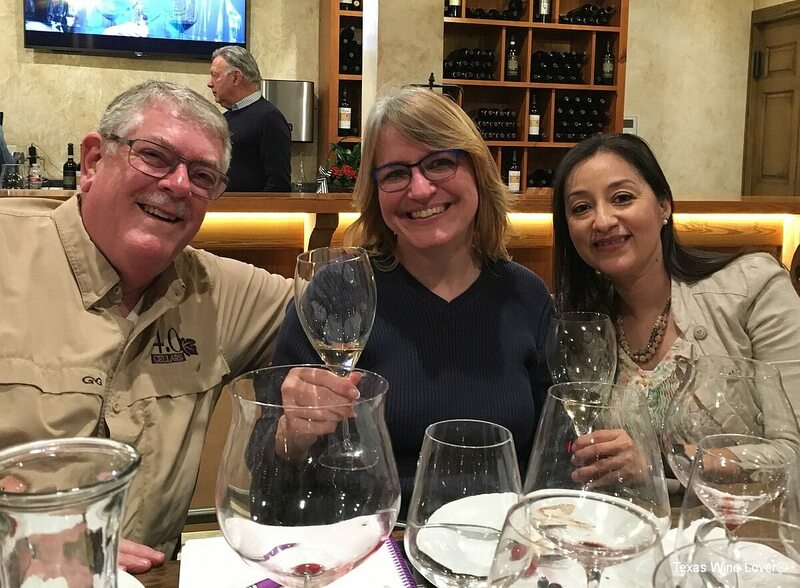 It had been especially fun for me to share with two wonderful ladies so involved in the Texas wine industry, Laurie Ware and Elizabeth Rodriguez. 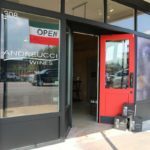 All three of us certainly recommend a stop at Andreucci Wine Room during your next Fredericksburg visit to explore delicious Italian wines offered in an intimate and comfortable setting. We did the food and wine pairing last night and it was wonderful. We love these wines. The food was prepared by Flavio’s chef from Italy and was superb. We are considering the Tuscany trip in September. 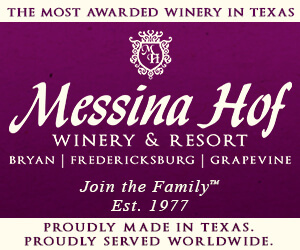 Great experience and different than any other winery in the Texas wine country. 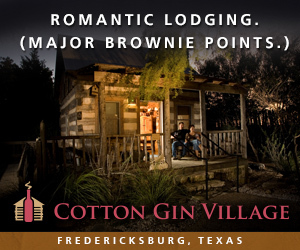 I look forward to making a trip back to the area and visiting!